Region-Wide Technical Support Call Center, Remote Support, and Hosted Help Desk Solution for Districts! advice on planning and purchasing. Districts are now taking advantage of SOESD’s region-wide Help Desk solution to manage their district’s technical support queues. The Help Desk is hosted at SOESD, and served to districts over the Internet through a web browser. The software currently provides many beneficial features, including the ability for staff to submit support requests by emailing support@soesd.k12.or.us. SOESD plans to offer a more robust system to all districts next September. This system will offer many new features, including the ability to submit support requests directly into district queues via forms based web pages, and the ability for district staff to provide remote support for their district’s computers. a shared region-wide knowledge base. Computer Information Services now offers a region-wide call center for districts who would like to have their staff contact the Help Desk for first-level technical support. Districts who do not wish to have their staff call the Help Desk directly for front-line support may still use the Help Desk to escalate their own district’s technical support issues by having their technical support staff contact the Help Desk for assistance. Computer Information Services now offers remote computer support through their region-wide Help Desk call center. Technicians now provide remote support for customer’s computers to troubleshoot, diagnose and resolve problems, provide training, or help customers perform a task. Most issues are resolved in minutes, instead of the hours often required for an on-site visit in our rural service area. 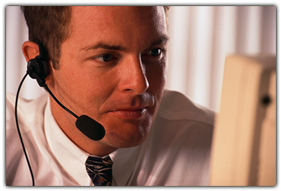 Remote support is available from 8:00 am - 4:00 pm, Monday through Friday. Customers may contact the Help Desk by calling 541-858-6730 / 866-858-6730 and request "Remote Support". They will be transferred to the technician on duty, who will then connect to their machine to provide assistance. After calling the Help Desk, customers will be asked to establish a remote connection to the technician by simply clicking a link on the Help Desk web page (http://www.soesd.k12.or.us/helpdesk).